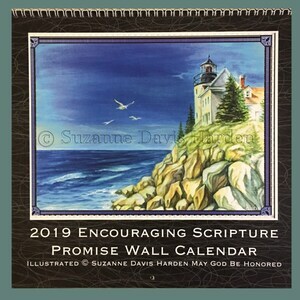 The 2019 Bible Promise Wall Calendar © Suzanne Davis Harden All Rights Reserved. The Psalmist wrote in Psalm 119:11 "Thy word have I hid in my heart that I might not sin against Thee." In verse 130 he tells us that God's word helps him understand spiritual things through revelation. Imagine! He is saying that God's word can help even simple people become wise and discerning if they will read it, believe it, and obey it! God’s word is filled with beautiful promises to His children. But to learn them we must read and hide them in our hearts. In troubled times, God’s Word comforts and encourages us. When we need wisdom, His Word guides us. In Ephesians 6:17 God’s Word is called “the sword of the Spirit,” a piece of our essential holy armor that we are to have with us at all times, for it is able to defeat dark spiritual forces that war against God's children. God’s word imparts spiritual knowledge to us as we meditate on and study it. It does us no good to simply own a Bible if we never read it. 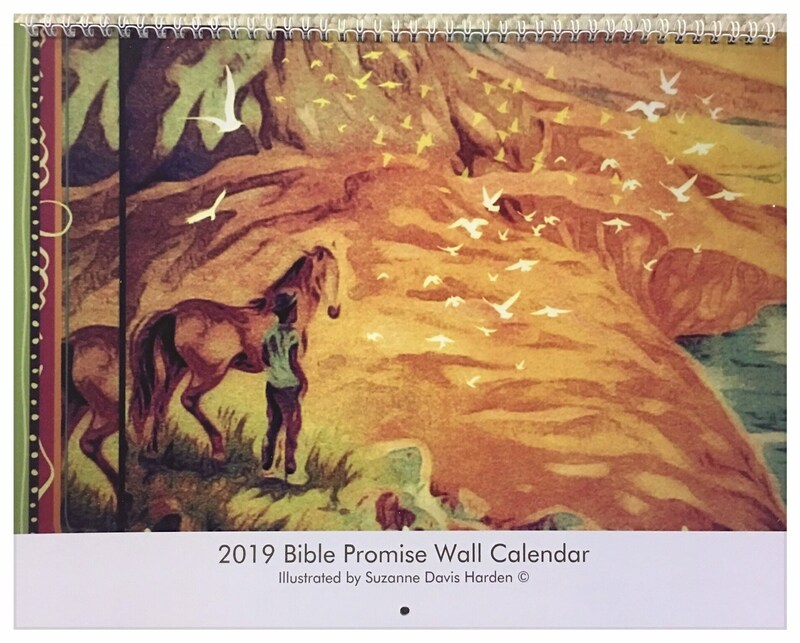 That is one reason I made the 2019 Bible Promise Wall Calendar: to encourage people to hide God’s Word in their hearts each day. 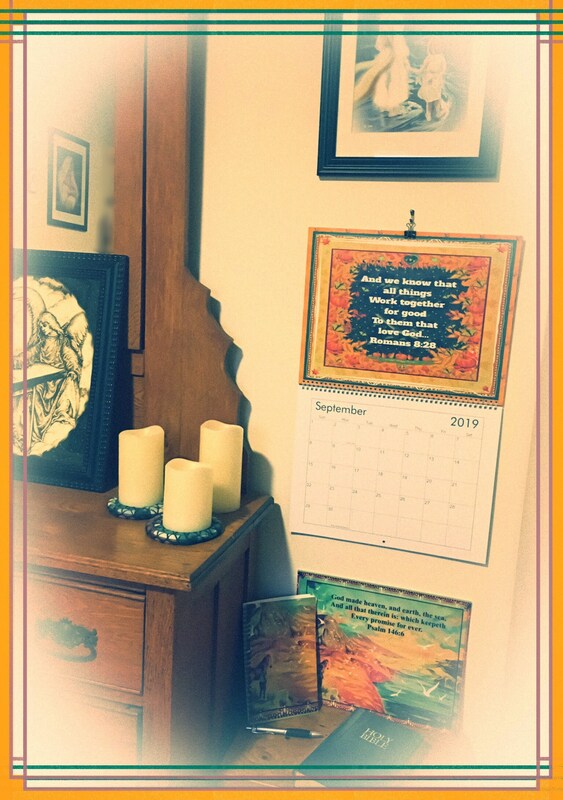 Each month throughout the coming year, my calendar features one of my original scripture paintings. 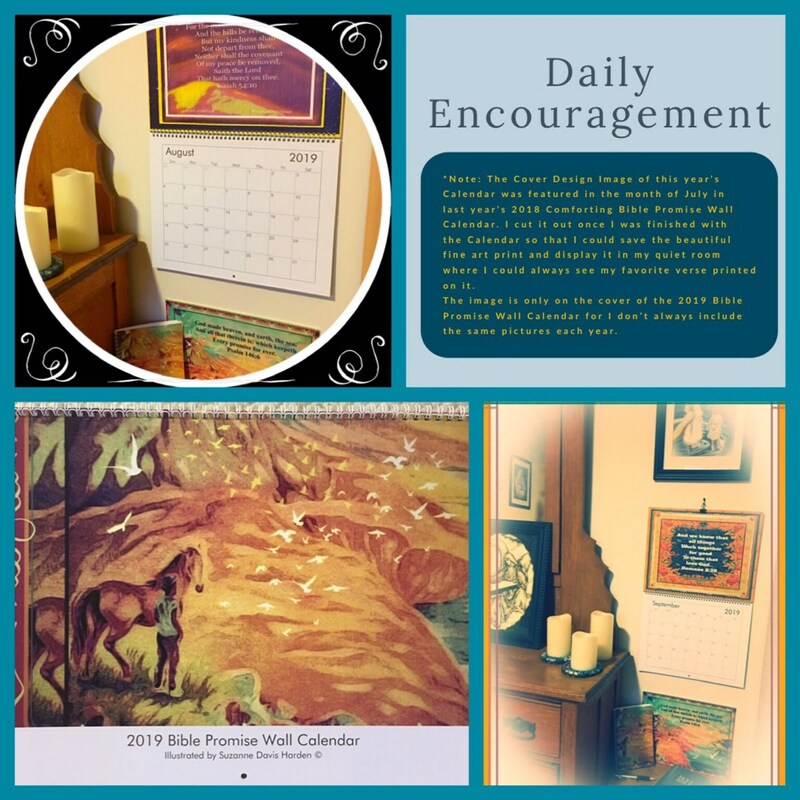 Every morning as you greet the day, look at the bible promise on the calendar. Think about how it might apply to you. Write down in your journal any thoughts that come to your mind as you study the promise. Are there other verses in the Bible that are similar? Find a good Study Bible and Concordance, either online, at church, the library, or bookstore. Ask the Lord to guide you to resources to help you study His Word. He will! 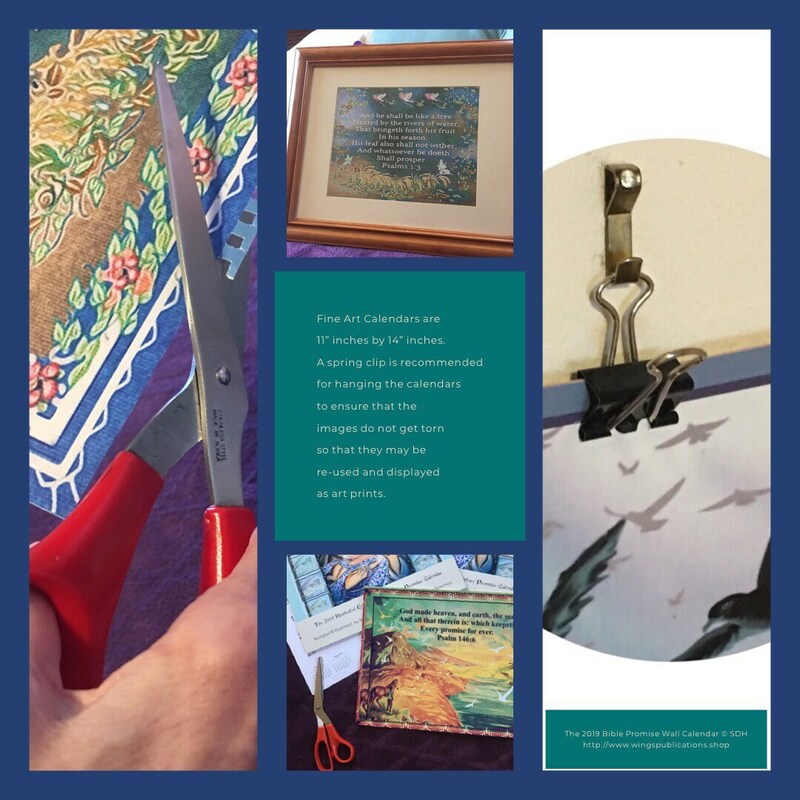 How might you make the Bible verse into a prayer for yourself, someone you love, or someone who's on your heart? Ask the Lord to bring His promise to pass in your life, according to His will for you. 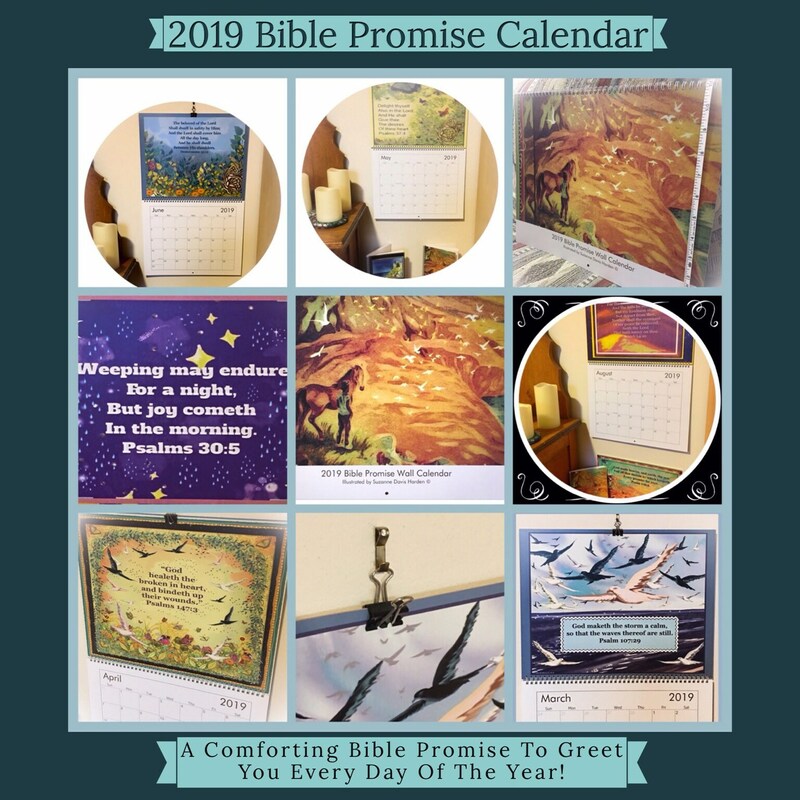 Perhaps by the end of the month you will have even memorized the bible promise! 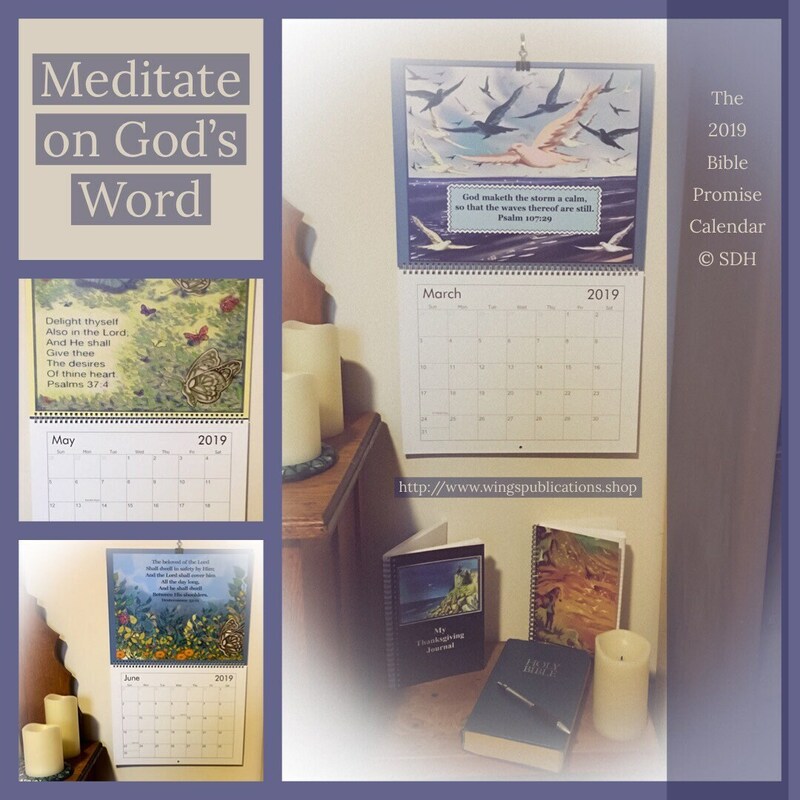 By the year’s end, if you meditate on the verses in this way you will make them all your very own, for this is a beautiful way to hide God’s Promises in your heart and make them your treasure. 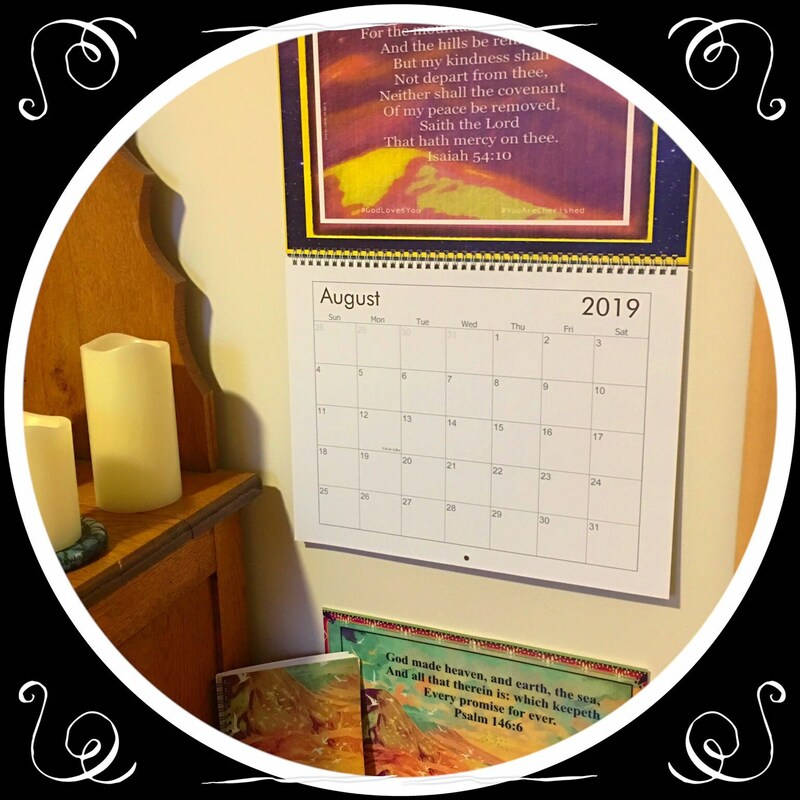 And most certainly if you meditate on each of the promises throughout the month, you will be blessed. For God’s word always brings peace and comfort, hope and assurance. 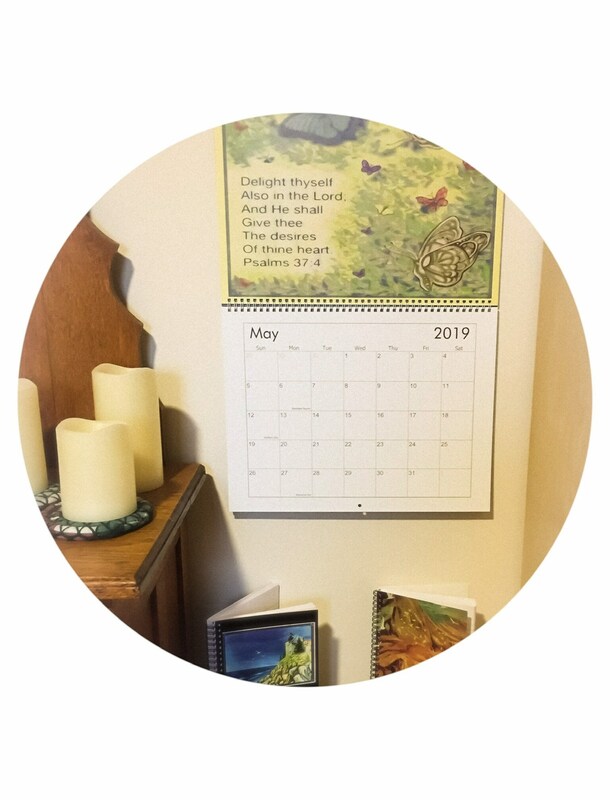 This 11"inch x 14"inch twelve month Wall calendar has extra large spaces on each date where you can write down all your appointments. 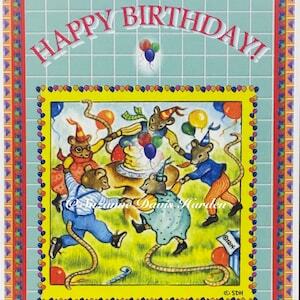 It measures 14" inches wide by 22" inches long when opened up and is spiral bound. 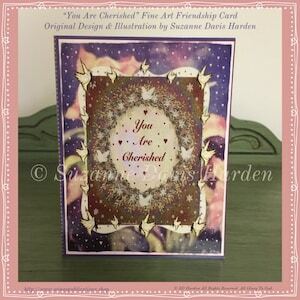 Printed on high quality laminated satin paper stock, each painting is beautifully represented in full color and is filled with rich details. 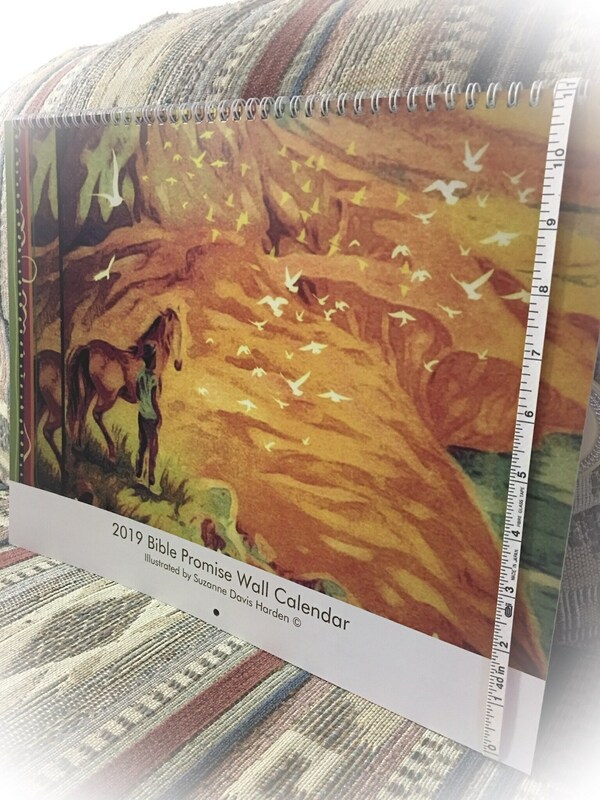 The Calendar reproduces my artwork with an art print quality so that you could frame the bible promise paintings or make collages with them at the end of the year. Jesus Christ, the Living Word of God said, "Man shall not live by bread alone but by every word that proceeds out of the mouth of God." 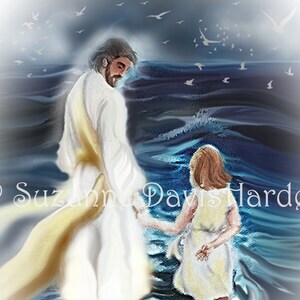 (Matthew 4:4). 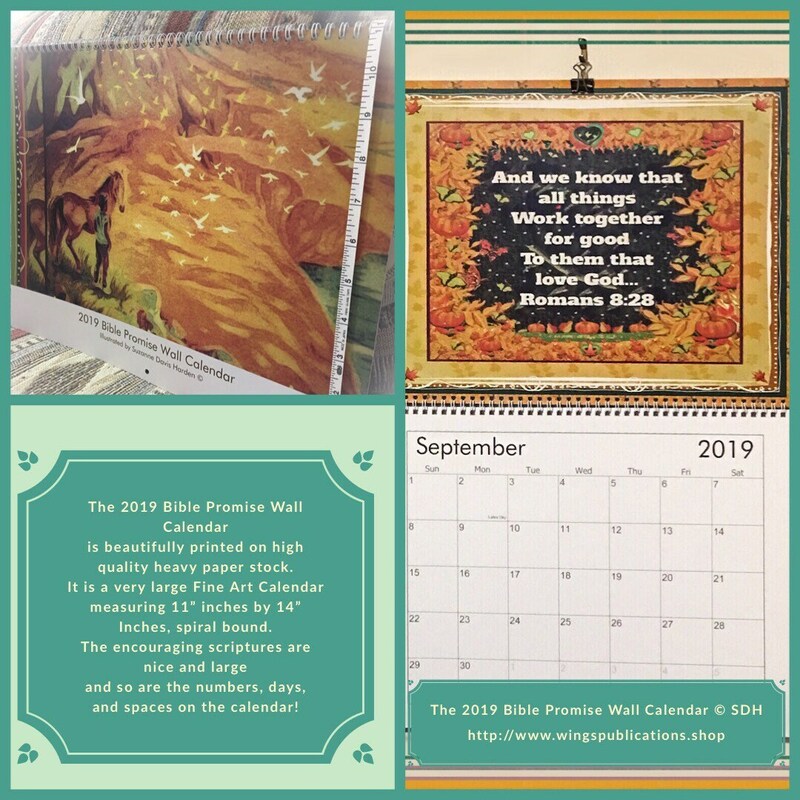 We ship our calendars via USPS Priority Mail.